Indigo Pop - Blue is a color that appeals to many prospective bag buyers. You can wear blue bags with different outfits. 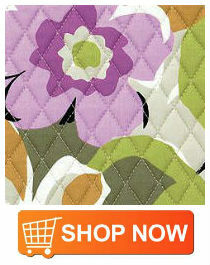 Vera Bradley's Indigo Pop floral design plays with shades of green, blue and violet. The general motif is of uniform petal patterns on a sea of azure. Paisley Meets Plaid - Grey plaid by itself is normally described as banal, but this notion is not true with Vera Bradley's Paisley Meets Plaid. The grey-neutral plaid background makes a strikingly beautiful contast to the floral paisley forms of pink, violet, and citrine. 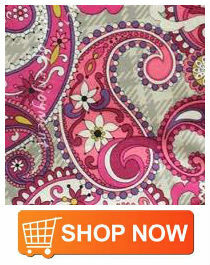 This pattern is affectionately called "prep-meets-princess" and this print on its canvas oozes feminine appeal. Va Va Bloom - When you want a burst of colors to suit your plain-colored outfits, Va Va Bloom is for you. 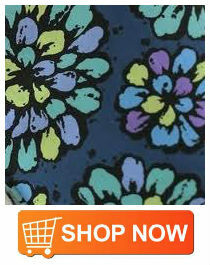 On black background are flowers and prints in bright, energetic shades of orange, yellow and violet. Multi-shaped flower and leaf forms were combined to create a wonderful work of art. Canyon features a beautiful geometric shapes of earth tone colors. Inspired by by bandana designs, this mix of browns and accents of rusted orange creates a nice classic country theme inspired by the Americana west. This print is actually a restyled revision of the classic Saddle Up pattern. Provencal features a floral pattern of warm colors golden saffron, spiced orange, brick red contrasting with cool colors olive green and teal over a mustard backdrop. This design gives the print a travel mood to a global pattern that is inspired by folkloric sunkist French imagery. 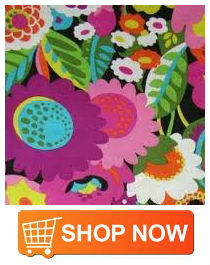 This print will brighten up any of your Fall fashion. 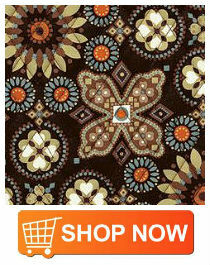 Portobello Road features large floral patterns inspired loosely by retro and romantic designs of London's market stalls. Soft grey and magenta color petals combine with mossy green and taupe leaves with hints of black and white accents create a peaceful floral pattern for your bags. A nice nod to the mod and to a time when travel was glamorous. This print is great for your travel bags. If you haven't seen Vera Bradley's other colors from the Spring & Summer seasons, check out these links to other design patterns released this year! We also have news that the new Winter colors will be out soon. The new Winter 2012 colors Ribbon, English Rose, and Dogwood. Vera Bradley will release Ribbons on September 20th then they will release English Rose and Dogwood on November 2, 2012! Vera Bradley is an American company of designer bags that was started by two friends who sensed the need to provide ladies with bags that are not only functional but fashionable as well. The two founder of Vera Bradley, Barbara Bradley Baekgaard and Patricia R. Miller, then started out to make bag especially for women. Back in the 1980’s, these two noticed the absence of women-inspired bags, so they answered to the call. Forty years have passed and the company continues to provide women with beautiful bags, from handbags to travel bags, adorned with accessories. 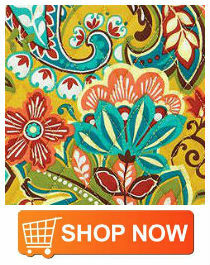 Vera Bradley continues to grow as a company. The demand for Vera Bags has increased as well, from the US to the world. They are even getting better and bigger with some additions to their already famous designs.